The Norwood Cork Tree, in Adelaide South Australia is a beautiful tree. Lynettea begged me to help her with her plans to save the tree. After all my work with my FIRST BIRTHDAY and VALENTINE'S DAY I would prefer to lie on my special futon that I have just been allowed to use. 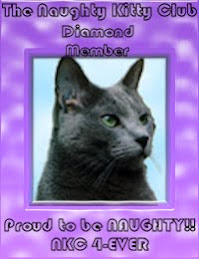 It was left to me by that wonderful cat DIAMOND, who used it for many years. He would have his Adobe beach towel on top and pretend he was on the beach without getting sand in his furs. Adobe sent him the beach towel as a thank you gift for buying so many of their products. She said she could imagine that the people who first lived in our house many years ago in the 19th Century would have been able to see the cork tree in its youth and she thinks it is wonderful that we can still see it and enjoy its beauty. She said if you stand close to the tree you can see its wrinkly cork bark. The cork bark could be used to make wine bottle corks, but this tree has never had its cork harvested. It is a very precious tree. 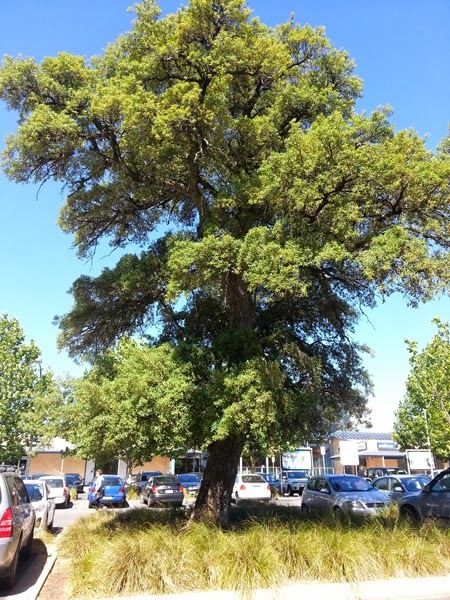 The Norwood Cork Tree in Coles Car Park is at least 122 years old and Coles want to build a car park under it. If Coles Supermarket digs under the cork tree and chops off its roots it will die. We think they will try to cut it down so they can build their car park and put shops all over the top. Lynettea thinks they can do better than that. SAVE THE NORWOOD CORK TREE. and there is also a Facebook page where you can find out more about the tree. Soon we will be back to real cat stuff. Cat and Cork Tree start with the same first letter, says Lynettea. I don't regard that as an excuse, but I don't like to see her upset. one year old today and we hope we will be your friends forever. 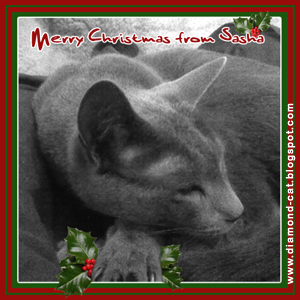 Dear little cat, Sasha, I wonder at your energy when you don't have a charger to sit on all day. It is your first birthday now and you have brought a lot of joy into our lives. Please remember that you are heavier when you jump onto my hard red shell. I sit here like a hermit crab watching you and your antics. 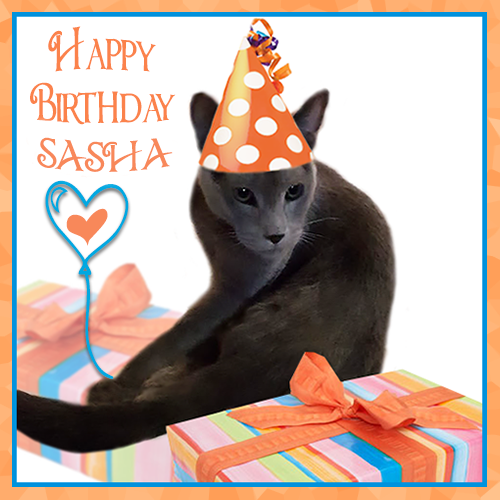 Dear Sasha, congratulations on your first birthday. You are a dear little lively and loving cat. I suppose I must call you that, although in my heart you will always be a kitten. HAPPY BIRTHDAY SASHA FROM SASHA. HIP HIP HOORAY!!! ONE TODAY. I want to play with all my new toys and try my adult cat food. 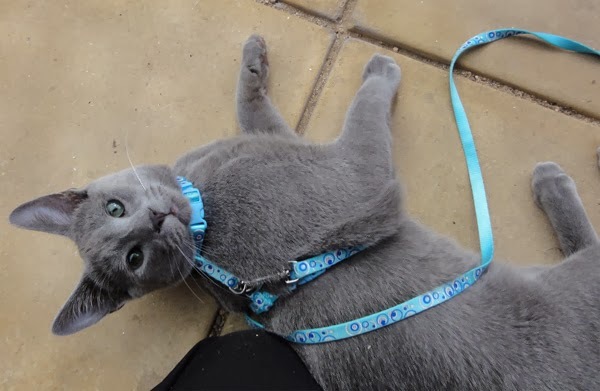 We just had an evening walkies in the street and some of my admirers said what a beautiful cat you are. Lynettea told them I had a blog and they laughed (RUDE). One of them offered to be my Publicity Agent. But Lynettea forgot to take down their email address. So I expect I will have to forge ahead on my own. is this picture upside down? 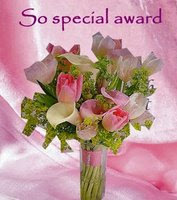 My birthday is on 13 February. I have to prepare for this big step from kitten hood to teenager. My diet will have to change from kitten food to adult cat food. Lynette will have to walk to the shops to get my new diet for me. She worries a lot about that sort of thing and is marking off the days in her diary. She tried to get me to eat all different types of kitten food so I would not get fussy. Now I will have the chance to reject all the different types of adult cat food that are not up to my standard. Quality control, that is what I am about. When I am one, will I feel different? It will take a lot of time to think about that and I only have a short time. 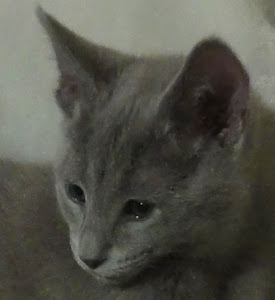 Already I feel sad about not being a kitten in a few days. 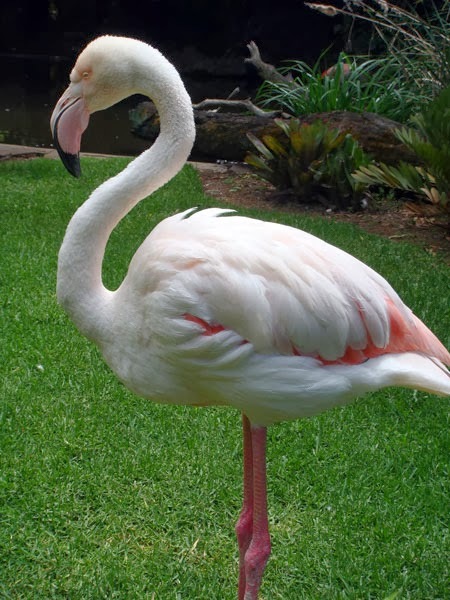 'Greater' Flamingo passed to the Rainbow Bridge a few days ago on 31 January. He was one of Diamond's friends of another species. 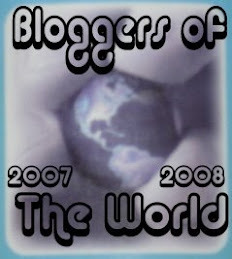 Diamond wrote about the incident where a cowardly lout attacked Greater some years ago. 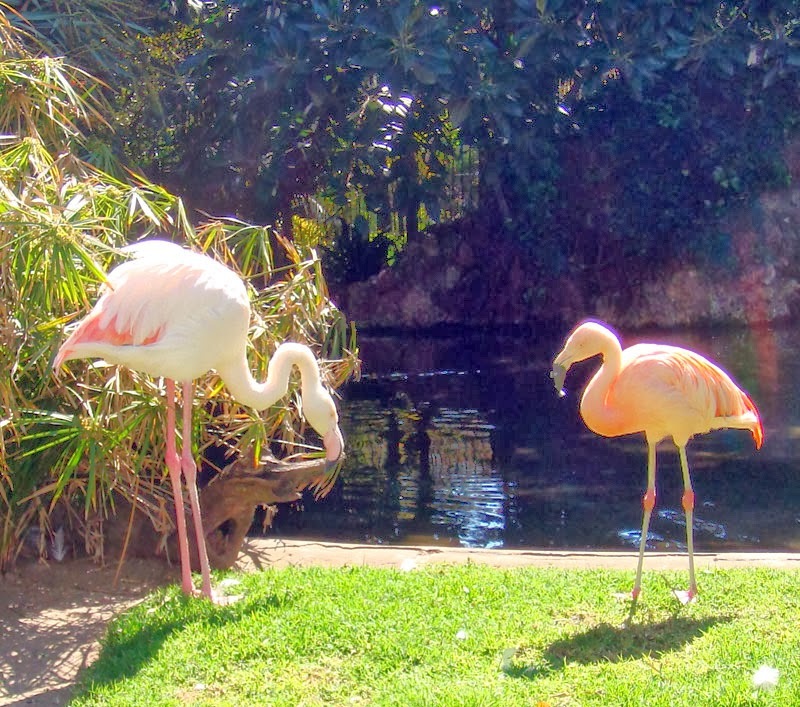 Greater was around 83 years old and believed to be the World's oldest flamingo. You may say, 'How do you know that, Sasha?' 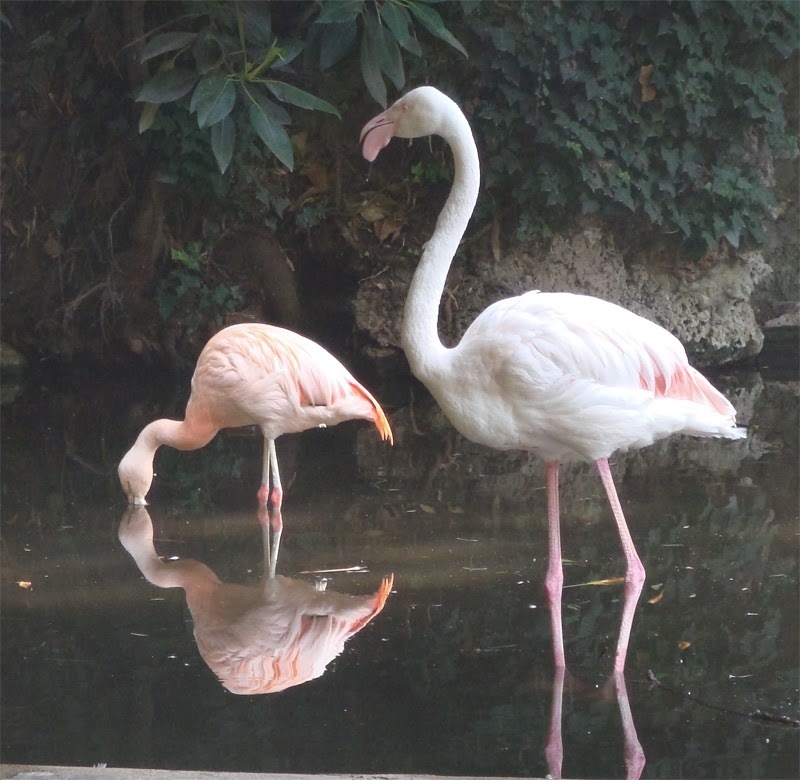 Well we don't know anything about ancient wild flamingoes, but flamingoes don't live to such a great age unless they get a lot of loving attention. Greater was blind and followed his faithful friend Chilly to the food source. Greater had medication to treat his arthritis and keep him comfortable. 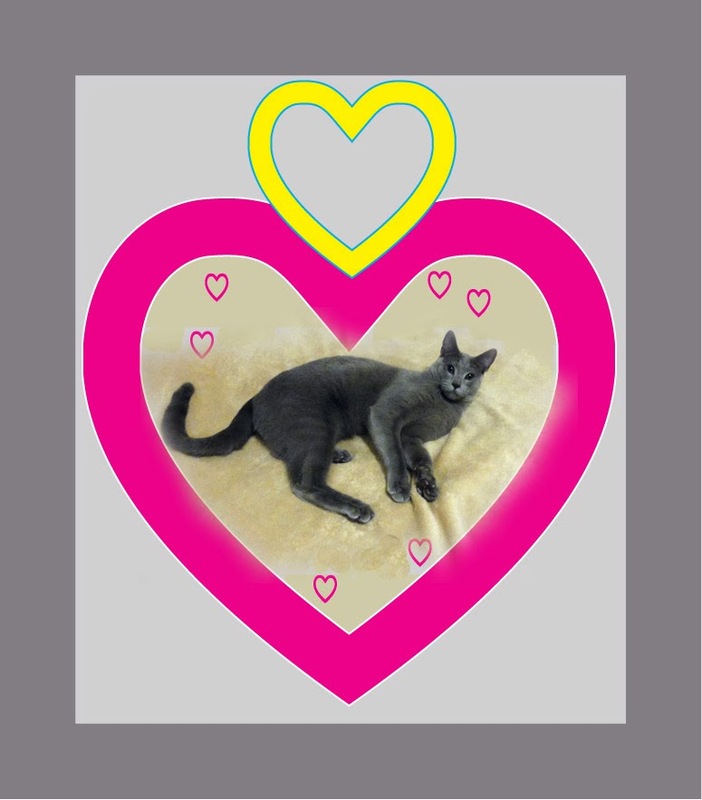 We think that Greater had so much love from his adoring human fans and carers that he is surely waiting for them at the Rainbow Bridge. Here are some more pictures of Greater and Chilly. 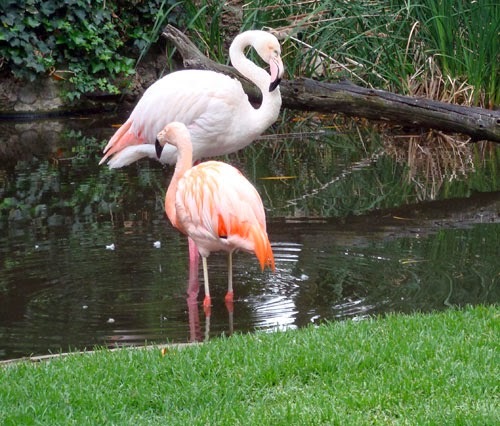 Chilly is the smaller Chilean Flamingo.